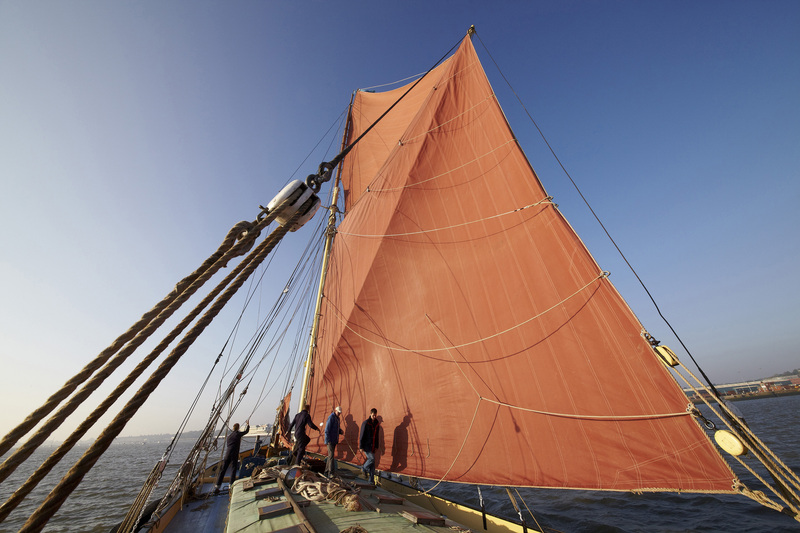 Built in 1906 by J & H Cann of Harwich, a spritsail barge of timber construction and a Ford diesel engine of 120 hp. 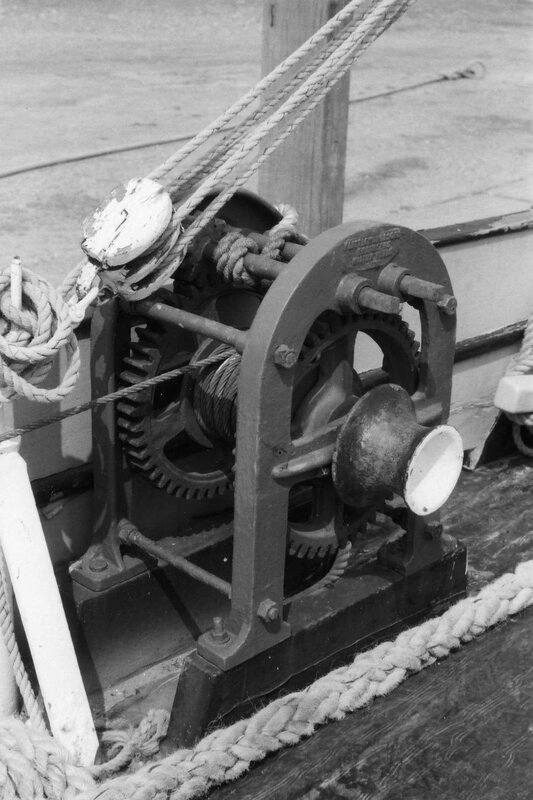 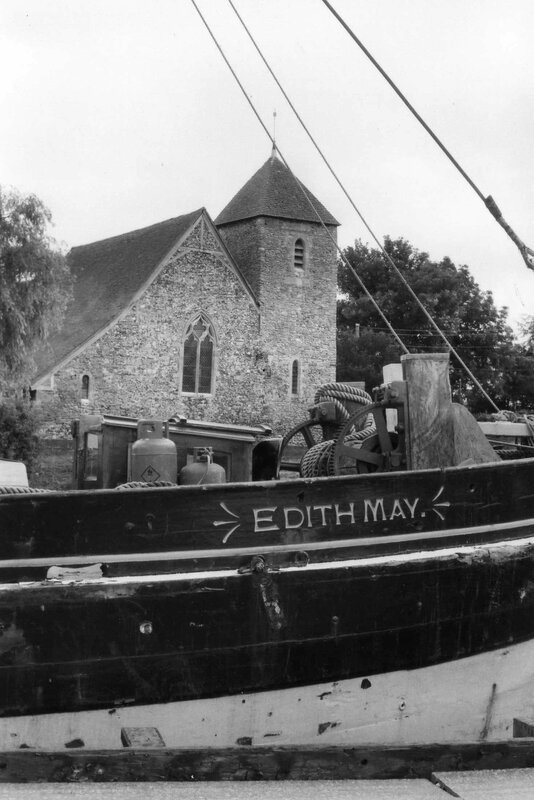 EDITH MAY's working life was spent on the East Coast carrying grain. 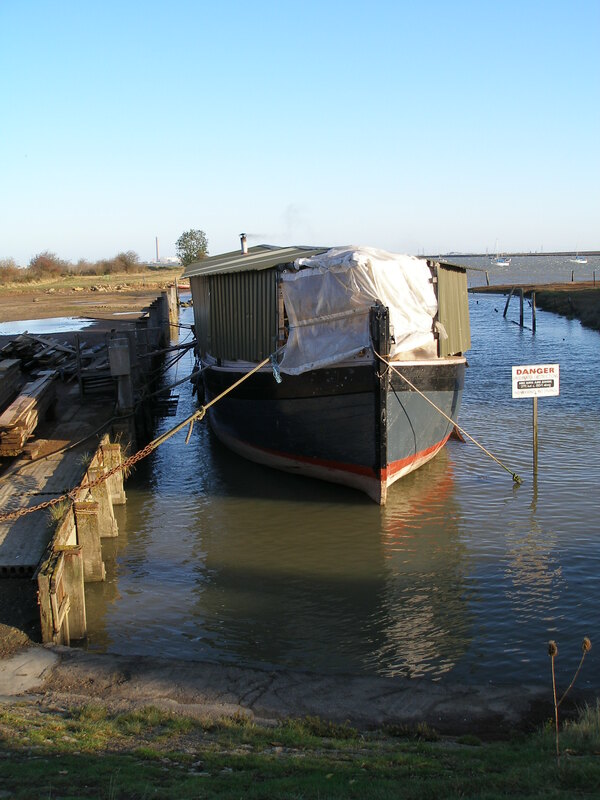 She was derigged after the Second Wolrd War and traded as a motor barge until 1961. 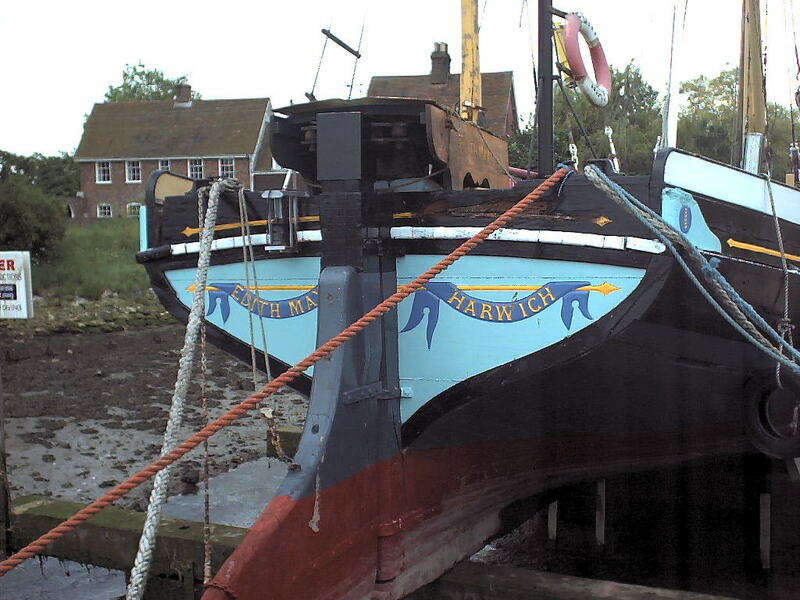 She was G F Sully's smallest coasting barge, her area being restricted so that she could take cargoes anywhere between Harwich and Dover, but was not able to go to Great Yarmouth. 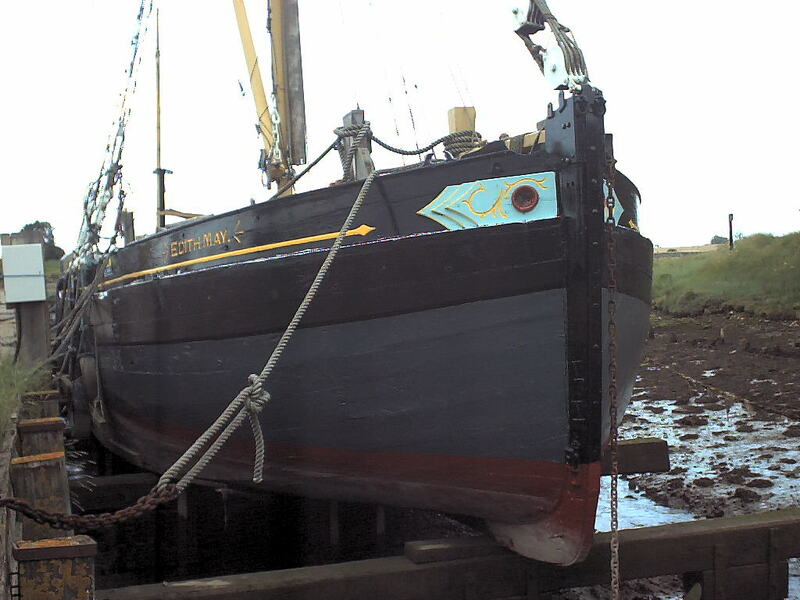 She would take 125 tonnes to sea. 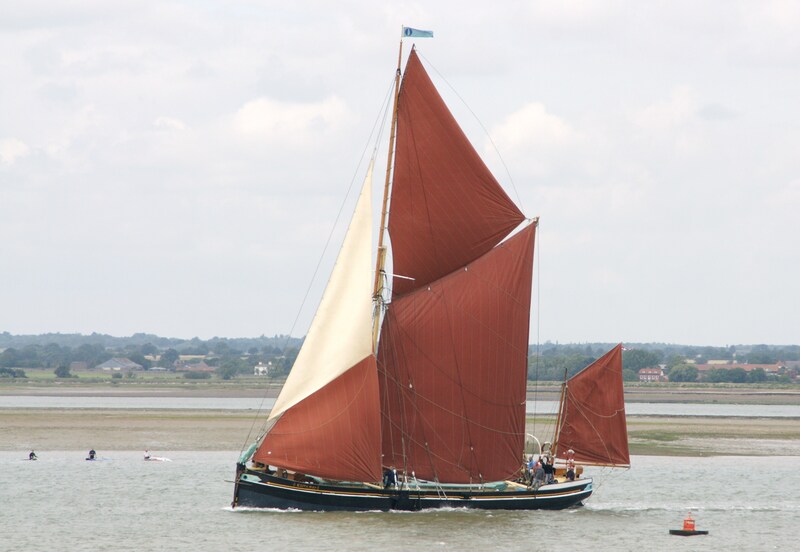 In 1953, she won the Thames Sailing Barge Match in her class, believed to be the Coronation Match of that year. 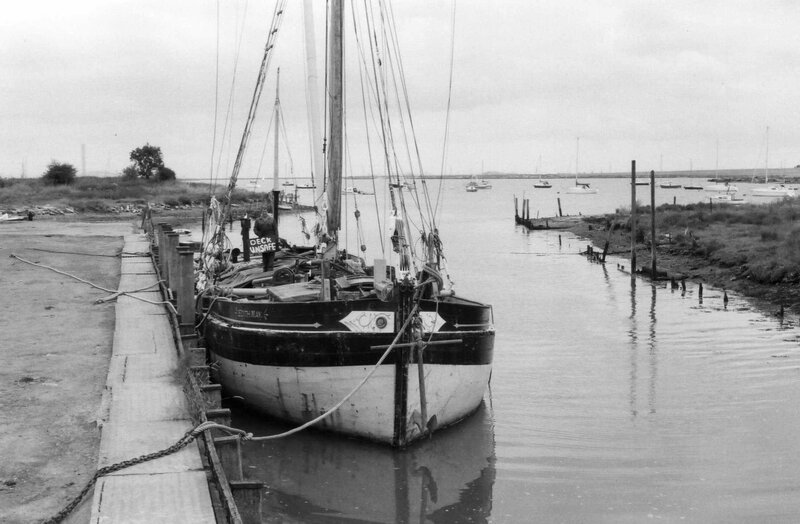 After 1961 she was rerigged by Vernon Harvey and became one of the most successful racing barges of the post-trade era. 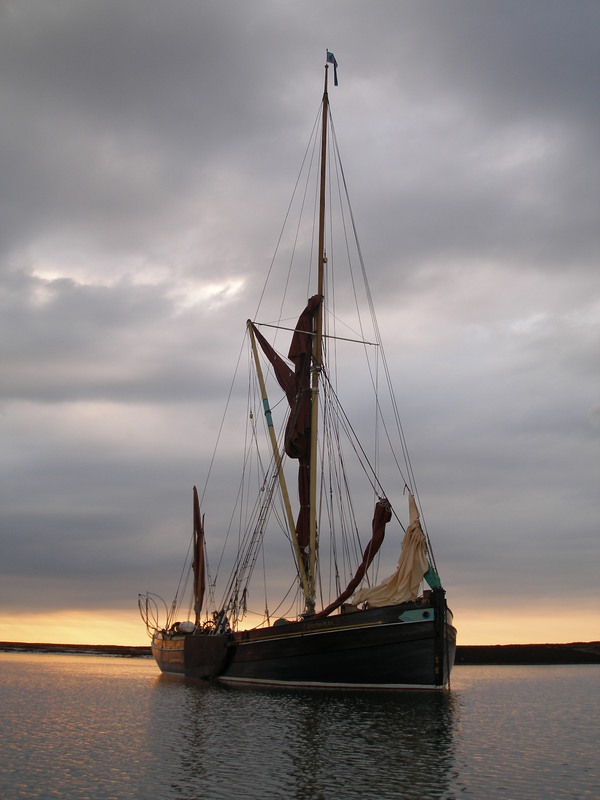 She was sold and moved to Liverpool during the 1980s before returning to the East Coast in 1990. 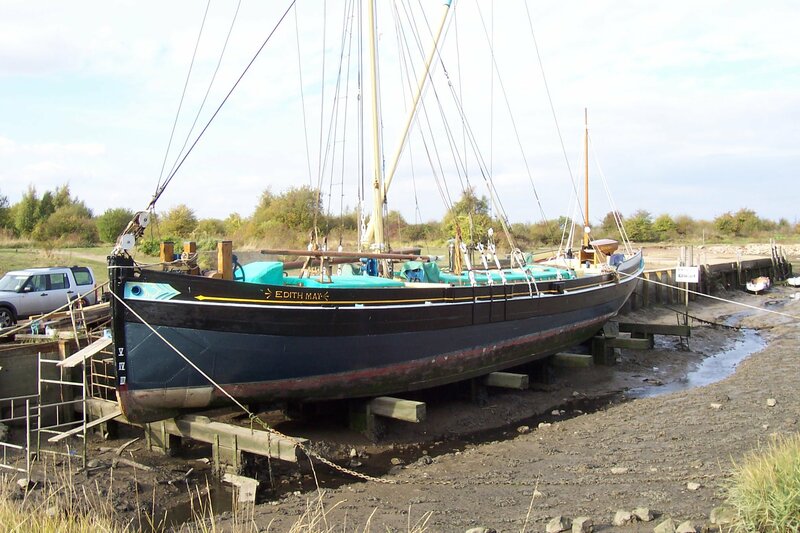 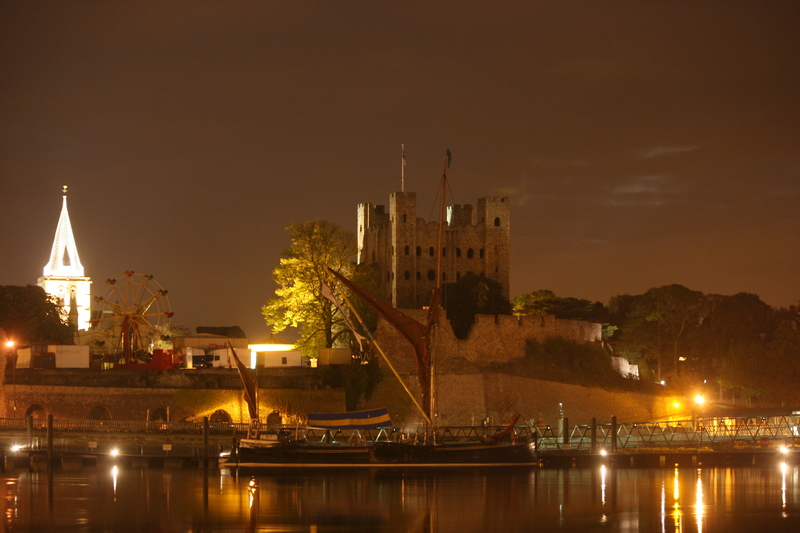 She sat in St Katherines Dock, London for several years and deteriorated before moving to the Medway where she was bought by her present owner in 1999. 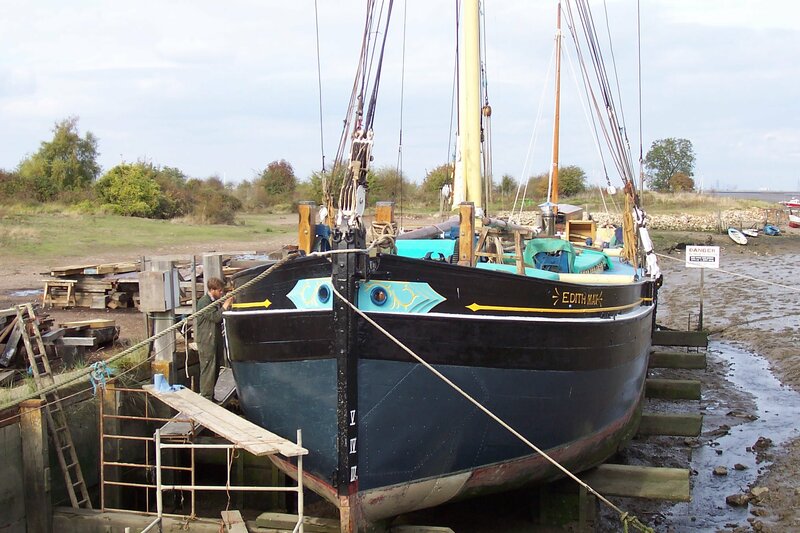 There followed a major restoration project which is now nearing completion. 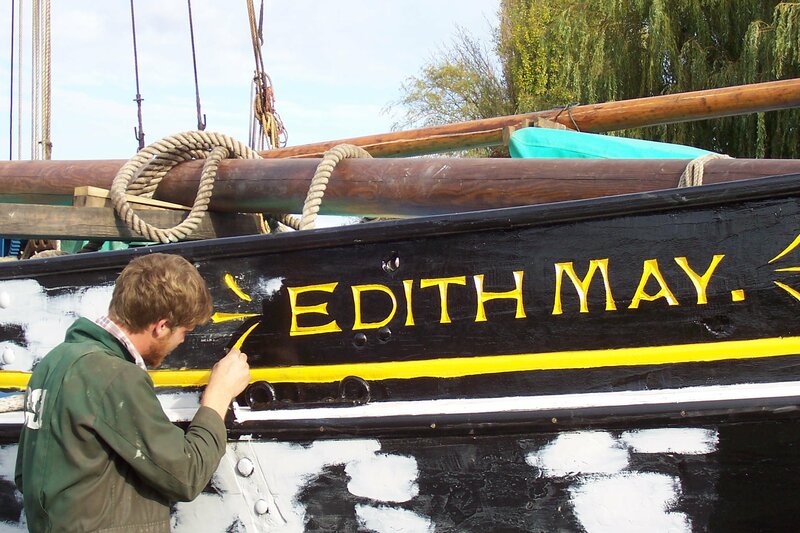 EDITH MAY was regarded as the finest and fastest barge in the fleet. 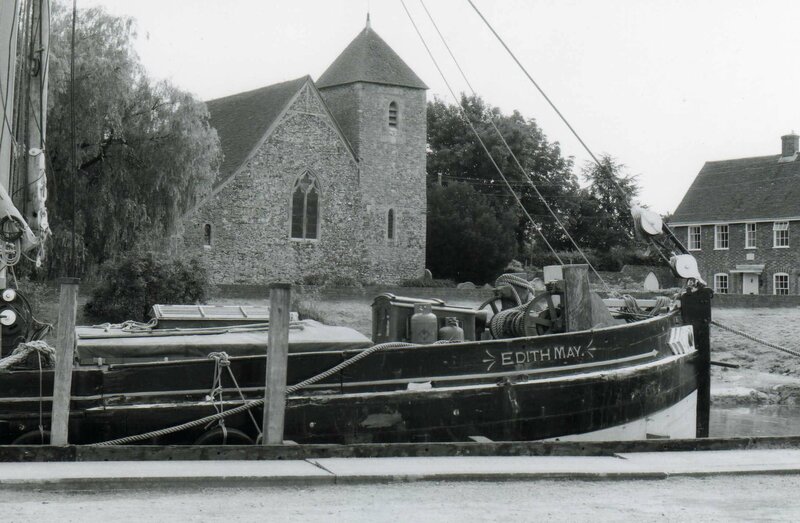 She is a link to the past for the community of Lower Halstow where she is being rebuilt: the village was built around Eastwoods brickworks and a fleet of barges operated out of the dock there.